A series of Heritage Open Days take place across the district this weekend as part of South Gloucestershire’s Discover Festival. The Discover Festival launched on Thursday 11 September and one of the themes of this year’s festival is heritage to coincide with the national Heritage Open Days initiative (11 to 14 September). Heritage Open Days provide a chance to see many interesting and historic venues across the UK open their doors to visitors. Events in South Gloucestershire this year include a date at Winterbourne Medieval Barn on Saturday 13 September (10am to 5pm), where visitors can explore this nationally important building which features an impressive raised-cruck roof. The barn was built in 1342 by Thomas de Bradeston, the patron of Winterbourne Priory at the time, and is a unique example of the medieval agrarian economy. The 12th century St Michael’s Parish Church in Winterbourne is also open on Saturday 13 September as part of Heritage Open Days. The church is located next door to the Medieval Barn, so offers a great opportunity to view both buildings in one visit. Other Heritage Open Days events during the first week of the festival include a chance to explore the 169 year-old St Saviour’s Church in Coalpit Heath on 12, 13 and 14 September, the Oldwood Pits coal mine in Rangeworthy on 13 and 14 September, and a rare opportunity to explore Warmley Grotto on 14 September. These are just a small selection of hundreds of opportunities to discover something new in South Gloucestershire during the festival which runs from 11 September to 31 October. The first week alone sees over 40 events and activities taking place throughout South Gloucestershire. 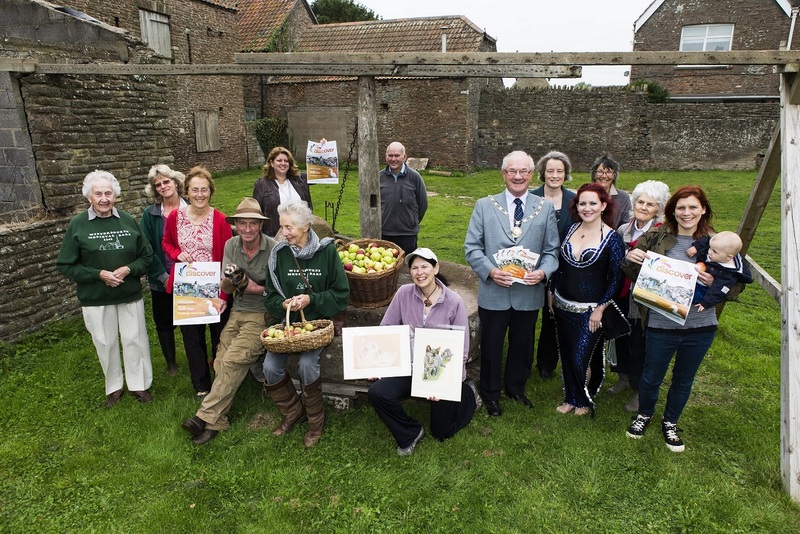 Residents will get the chance to explore the great outdoors through wild walks, owl prowls, bat walks and conservation days; get active with country dancing, Tai Chi and walks; discover great local produce at taster events, open days and seasonal Apple Day events. You can also discover your creative side and have a go at stained glass design, jewellery making or portrait drawing. Now in its third year, the Discover Festival offers a unique opportunity for residents to find out what makes South Gloucestershire a great place to live and work. South Gloucestershire Council organises the festival with events run by the council, local residents, community groups and businesses. Over 150 events are free, for others there is a small fee. Booking is essential for some of our most popular events such as bat walks and owl prowls.